$118,956 of $219,402 (54%) came from New Jersey. Here’s a hint: it’s not Queens. According to the Campaign Finance database, 54% of all contributions to the S.J. 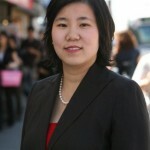 JUNG FOR STATE SENATE committee came from New Jersey. Whether it’s Edison, Closter, Teaneck, Cliffside Park, or Englewood Cliffs, Jung’s candidacy is being financed by out-of-towners. 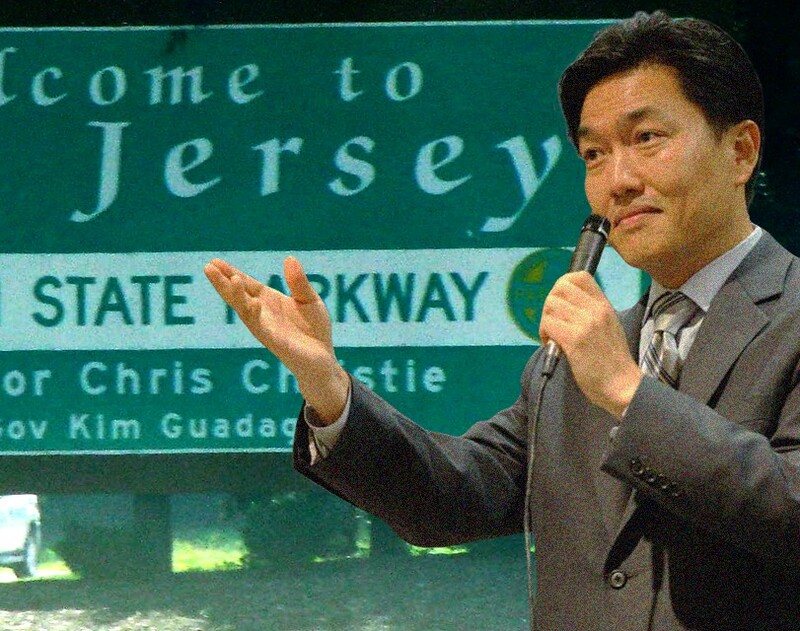 Maybe we should call him South Jersey Jung? Contributions buy influence, it’s a fact, but do we really want that influence coming from New Jersey into Queens? What does this say about the candidate? 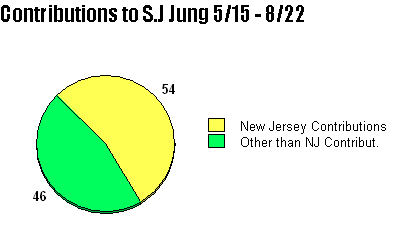 According to the 2014 report, Jung raised a total of $219,402, of which $118,956 (more than half of his donations) came from New Jersey-based contributors. And there’s even more money that came in from outside the district, other than New Jersey, adding insult to injury. It’s no wonder a hunk of his campaign war chest is coming in from New Jersey, Jung’s lived there for most of his life — only making an occasional appearance here in Queens to run for one office or another. The proof is in the pudding. Aren’t we tired of this? S.J. must love Chris Christie. 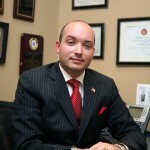 S.J Jung is a longtime Republican seeking office in SD 16 –a district where he has no roots or community service because he’s lived in New Jersey. So what’s the issue? Jung was only registered in NY since 2009, shortly after he moved here from Westwood, New Jersey. In that same year, he ran on the WFP line and lost to Democrat Yen Chou, so that didn’t work out, and rumor had it he moved back to New Jersey until the time was right to move back to NY to try and steal another seat. That’s pretty funny, Jung the “bridge-builder,” because the only bridge you are building is the one back home to New Jersey. Twenty-six years? What a load of campaign nonsense! 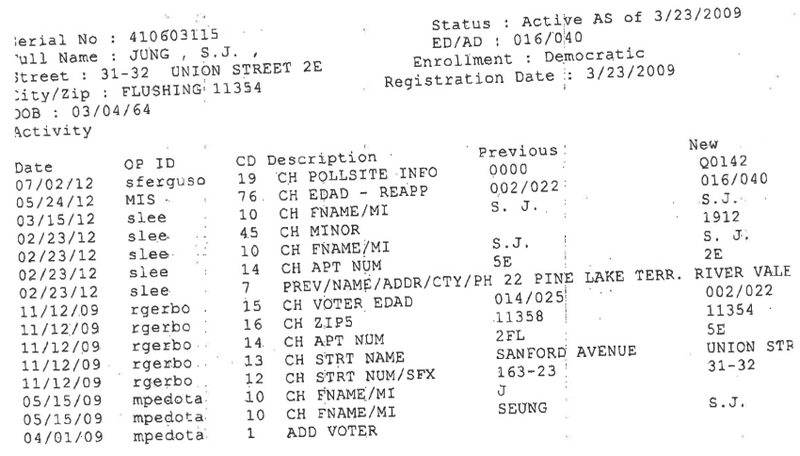 Lifelong residents of the district have never seen or heard from S.J Jung except when he flirts with a run for office or steals credit from the good work of the Minkwon Center . And what’s this about “ethnic harmony” he’s trying to create? If you read our article yesterday, you’d know that’s simply not true. 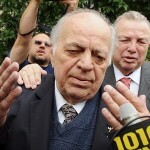 Jung is supported by an Anti-Semitic coalition that will piggyback their agenda vis-à-vis Jung’s “campaign consultants” directly into legislation. 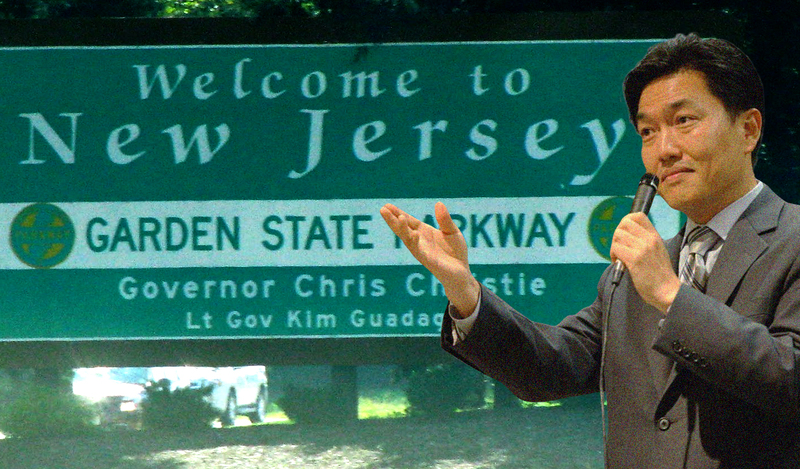 In New Jersey, we expect to hear about corruption. It’s basically built into the system. They have 566 municipalities, the most per capita of any state. Local governments tax the citizens dry, while preserving the opportunities for graft that flow from operating redundant public services. The state legislature likes it this way and always has. We have to ask why was this left out of his his bio? Look, this community is not to be taken advantage of just to become the collateral damage in Jung’s lust for power. Or even worse, resemble New Jersey in any size, shape, or form. No one here wants to be a pawn in this huge electoral scheme and we aren’t going to remove the only woman representing us in Senate just for some Johnny-come-lately.